Ugobus 7: Plymouth City Centre - Crownhill - Derriford Hospital - Marjons - Woolwell. As a result of increasing congestion problems in the Derriford Hospital area it has been necessary to revise the timetable for Service 7. Unfortunately, in order to add additional time to the route has meant that the frequency of the service will now be every 30 minutes. The Sunday timetable is unchanged. Ugobus 11: Plymouth City Centre - Mutley - Peverell - St Pancras Avenue - Honicknowle Green. In order to better match customer demand against resources we have modified the Monday - Saturday timetable for Service 11 to operate every 20 minutes. The Sunday timetable is unchanged. Ugobus 15: Plymouth City Centre - Crownhill - Derriford Hospital - Estover - Asda - Mainstone. As a result of increasing congestion problems in the Derriford Hospital area it has been necessary to revise the timetable for Service 15. Unfortunately, in order to add additional time to the route has meant that the frequency of the Monday - Saturday service will now be every 20 minutes. The Sunday timetable is unchanged. 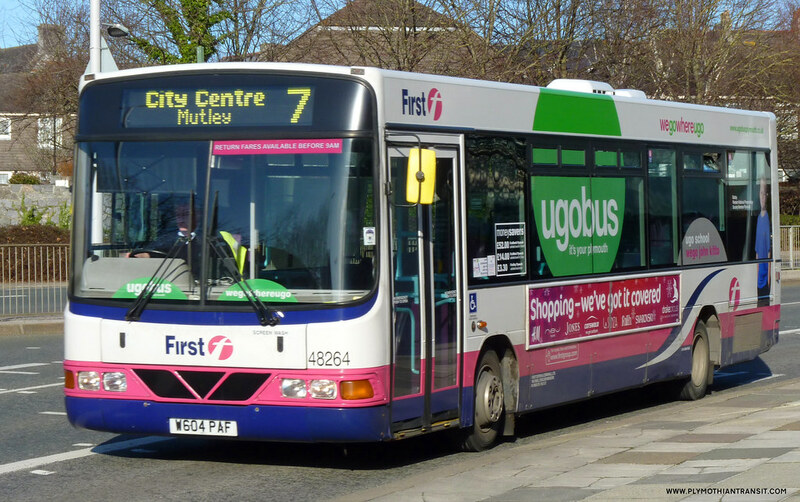 Ugobus 17: Plymouth City Centre - Mutley - Crownhill - Southway. In order to better match customer demand against resources we have modified the Monday to Saturday timetable for Service 17 to operate every 15 minutes. The Sunday timetable will now operate every 60 minutes. I thought they would cut back slightly, after all on some of the routes between them and Citybus there are 11 buses an hour (southway for eg). I like the way the 11 which is now every 20 minutes runs to the city, a full 1 minute ahead of the 61, it's Citybus rival!! I wonder what cuts GO Ahead will make in 3 months time when their honeymoon period is over???? First haven't been able to sustain any of their Ugo route frequencies following their much heralded inception.